Dental tourism in Phuket is fast becoming increasingly popular for many tourists who visit the Island. With the cost of cosmetic dentistry in western countries becoming extremely expensive, more and more people are opting to travel to Phuket for affordable treatment and a cheap vacation at the same time. 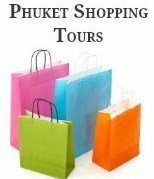 I didn't intend to add a page to our website about medical or dental tourism in Phuket. However after having dental treatment done myself and experiencing first hand what it is like to have dental treatment abroad while on holiday in Phuket. 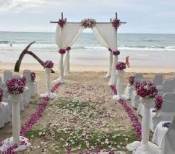 I feel that I can write about our own personal experience about dental tourism in Phuket. Firstly, the quality of dental treatment at a dental clinic in Phuket is not only as good. But in some cases more advanced than what is offered in some western countries. Most dentists in Phuket have spent time studying, training or working in the USA, Europe or Australia. The only thing that is not the same is the cost, in Phuket the prices are much lower; a fraction of what you would pay at home, but with the same level of care. The hardest part is deciding which dental clinic in Phuket to go to. After researching lots of different dental clinics online I was still unsure where to go as there are so many dental clinics throughout Phuket. I was lucky enough to find out that a long term friend of ours that was once a dental nurse in Australia had not long returned, after having major cosmetic dental surgery in Phuket and highly recommended her dentist to me. The Dentist Dental Clinic is owned and operated by Dr Lappakhon Kongraksawech who has teamed together with a Dental Specialist and his friendly staff. Who are offering affordable dentistry in a friendly, professional and above all provide an honest and caring service, not only for tourists but locals alike. From my own personal experience Dr Kongraksawech and his Specialist were honest and only advised me to have work done to prevent any further problems with my teeth. They didn’t try to persuade me to have extra work done on my teeth that I really didn’t need, just what was necessary. Most importantly I felt comfortably in knowing that someone that I know and trust had been to this dental clinic in a foreign country and was extremely happy with the treatment and outcome of her dental treatment. Not to mention very happy with the low cost dentistry compared to home. Below is a price list of the low cost and affordable dentistry at the Dentist Dental Clinic In Phuket. All treatment fees are charged in Thai Baht, and at the time of writing there were no credit card facilities available at the Clinic. For convenience we have placed a currency converter below. The Dentist Dental Clinic is located at 35 Sainamyen Road, Patong just east of the Patong Hospital. If you are interested in Dental tourism in Phuket and would like to contact Dr Kongraksawech, his contact details are below. There are many other dentists that are well known for dental tourism in Phuket, below is a list of just a few. We do not receive any payment, commission or free services from Phuket Dentist Dental Clinic, our recommendation comes from the honest and professional service they provided.